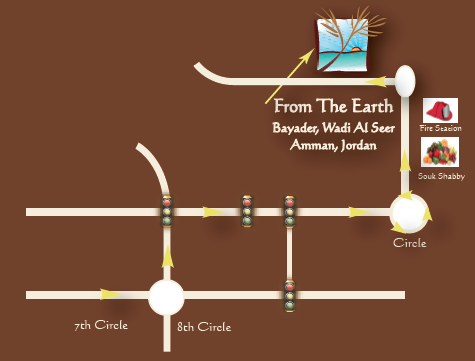 Here in Amman, Jordan summer means Souk Jara! A wonderful Jabal Amman tradition where local vendors display their unique handmade items outdoors in Jabal Amman off of Rainbow Street. Whether you live in Amman or are just here for a visit, you should come to Souk Jara and see the variety of items that are available. 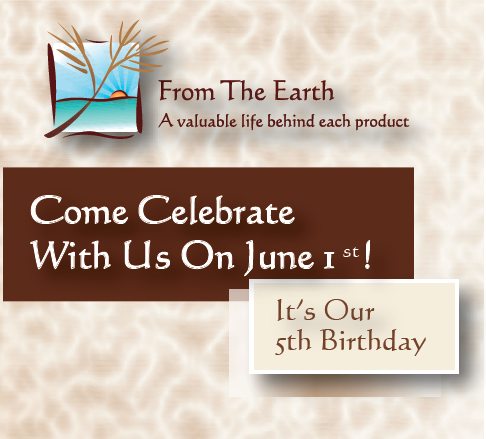 From The Earth is one such vendor that will be selling handmade items made from the Middle East. For over one year now, From The Earth has been a member of both the World Fair Trade Organization and the Fair Trade Federation. That means, that when you purchase a From The Earth product you are guaranteed to know that the woman making your product are being paid and treated fairly. Our table will be overloaded with olive wood kitchen and home items, olive wood fashion jewelry, handmade greeting cards, photo cards, and more. Stop by our table R44 and say hello! Our friends who make the below beautiful handmade cloth bags will be there.